So a new wave of invites has gone out, but people haven't received emails yet. Make sure to check your B. NET account to see if you are in or not! 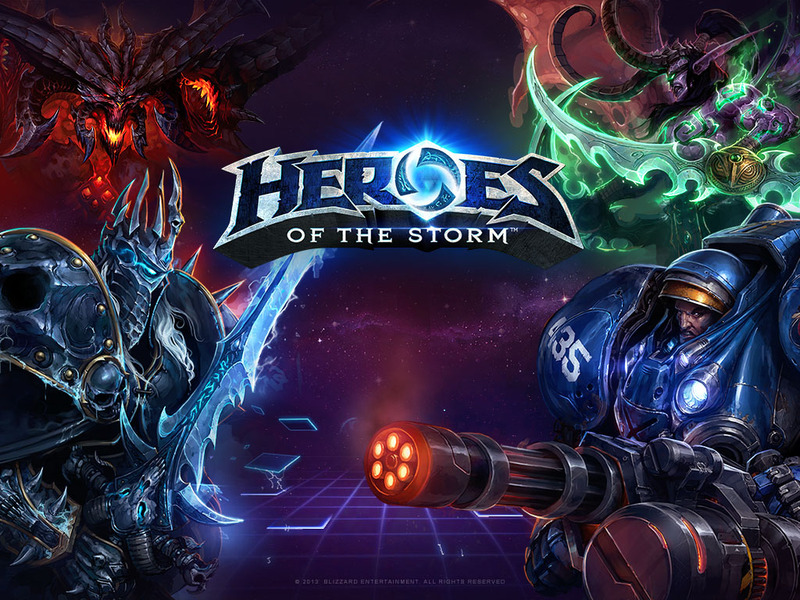 I guess I got that mystery invite, the HotS page just showed up in the launcher. Any relevant tips I should know before starting, or is it as straightforward as I've heard? It's pretty straightforward. Aside from the obvious mechanical changes(no gold, removal of last hitting, shared exp pool, etc. ), the biggest difference between HotS and DOTA/LoL is that the map mechanics trump everything else you're doing. Argh!!! Who do I have to be nice to to get in on this! Sigh. Right on, sounds alot like Awesomenauts. I'd like to see them add a separate 'looking for party' for co-op play. [*]You have to play each hero a few times to unlock all of their talents, often including the optimal ones - it can be worth playing a few rounds of coop with each hero to unlock abilities before using them in vs. I'm starting to wonder if it'll even show up for me after it's officially released to the public. still waiting!? I assume you (and everyone else waiting) has the beta box ticked on their profile? Can you & the rest of the GWJ crew get press keys? I'm going to start playing tomorrow. Thanks for all the info! Oh yeah, had the beta box checked forever. Blizzard hard on press copies, etc. It's all good. ActiBlizzard doesn't give out press copies to SJW hugboxes. No worries! That was just off the top of my head, so sing out if you have any specific questions. Oh yeah, had the beta box checked forever. Ditto. I checked that box the day it was added to the account settings. The only times I've ever gotten into Blizzard betas were when my hardware was old and outdated. I assume because I then at least have some potential value as a test case for older systems. I have never been selected for one since I started keeping my rig within a year and a half or so of being very up to date. Correlation not causation, etc, I know, but it's held true for me. The only way I seem to get in anymore is either through direct invites from other people or when they let you basically buy your way in with preorders or whatever like I did with Starcraft 2. Haven't played in a few weeks, but had some stellar matches last night. Then i discovered that now they save replays! I might fraps one little play me and my buddy made which contained much body blocking for kills. I only got my hearthstone and HotS invites after major upgrades. Every time I see activity in this thread I think it might be time. I open my B.Net software and...nope. Poor team, they eventually gave up and stayed at their base. Mine had nothing to do with my hardware - hearthstone invite came immediately after I downloaded the battlenet launcher beta and HotS was just part of one of the early invite waves. Possibly related to having spent money in the hearthstone beta? God Nova is so broken. She is single-handedly making me not want to play this game anymore. I play a lot of Valla. She's strong and has a lot of tools, but she's not broken like Nova. Valla is probably one of the more balanced heroes. She's counterable by a wide range of opposing heroes (anyone with a stun to break her Strafe, anyone with Shrink Ray to counter her basic attack damage) but still can do a lot of damage if you position her right. If you want to have fun in solo queue, I've been having a great time with a purely multishot build since it cuts through mercs and waves like butter. Been consistently getting upwards of 160,000 siege damage per game. The pressure that puts on opposing teams is ridiculous. She wasn't doing too well in the previous patch but they definitely overcompensated in this one. I'm definitely finding it more pleasant to stick with the tankier heroes at the moment. Stitches is fairly Nova-resistant; reasonably tough and has two nice ways to break stealth. Oh ok. I haven't played much since the latest patch, last time I played Nova was very weak compared to Valla. It's the normal Blizzard cycle. Over-buff to get people to use the button, and see what happens, then maybe nerf it because they realize that it's too powerful. Or don't nerf it, and buff something else. At which point, even though it's a... let's just say, 0% to 2% nerf, people will go "OMG IT'S WORTHLESS". Even though it's still there, still good, nobody will use it for about 6 months. Then someone will hit that button again, and the meta will go back. Because people then realize that you can, in fact, use a button that Blizzard has nerfed. Eh, just going on history in SC2.